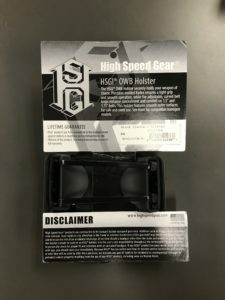 Home Guns and Armor High-Speed Holster? 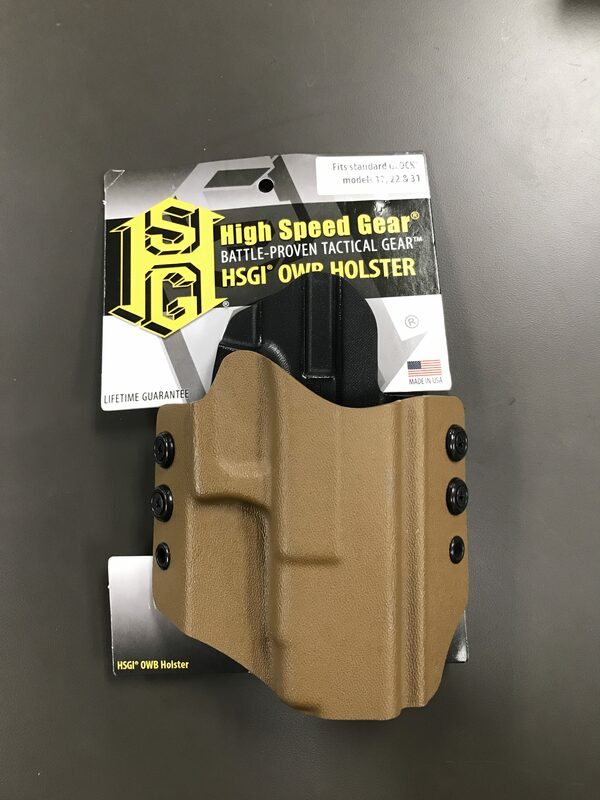 High Speed Gears new OWB (Outer Waistband) Holster showed up on our doorstep so, being good citizens, we took it in and gave it a home. And you know what that means – using and abusing it to see what it is made of! Stating it “Fits standard Glock models 17 (9 mm), 22 (.40 mm) and 31 (.357 Mag)” we got some and I have to say I am a fan of their products, but “ugh“, the Glock 17, 9 mm fit right in there but I needed two hands to get it back out, and with a belt that had no give at all. Having no adjustments to change this, repeated tries produced the same results. I did let others try it and they came to the same conclusion. I guess wear and lots of practice draws will make it more forgiving, but that seems like a lot of work to make it work. 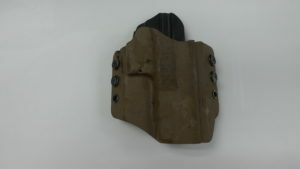 Even though it is not advertised for the Glock 19, 9 mm, one fit but it was also a tug to draw, and the draw was noisy. In a situation where you don’t want to let people know you have drawn your weapon – in a restaurant, store, etc. and some bad guys come in waving their guns – that snap may give you away. Don’t get me wrong, I am a HUGH fan of the fear generated when one chambers a round in a pump-shotgun, as long as I am not the one doing the intruders laundry, but I think in most situations where a CCW weapon is drawn, you don’t want it announced. 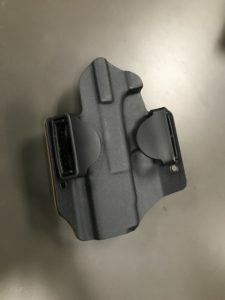 To be fair we put the holster through the grinder and it stood up to being dropped, stepped on, dragged across concrete, and rubbed in the Arizona dirt. It fit well, the belt adjustments worked and we still think it looks good, even after the abuse. My question – Is this the downside of trying to make a “one size fits multiple platforms” product? While I understand the logic from a manufacturing and marketing point of view, with the differences being slight between the models footprints, as a user, I, like you, want the one that works best for what I carry as this needs to function perfect in a split-second life-or death situation. While I remain a fan of High-Speed Gear I will pass on this as a solution for me and my CCW. Next articleA Round(s) Solution for a Square (rectangular) Hole!